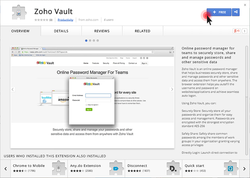 Zoho Vault is an online password management software. Zoho Vault Enterprise was available as a giveaway on March 1, 2017! 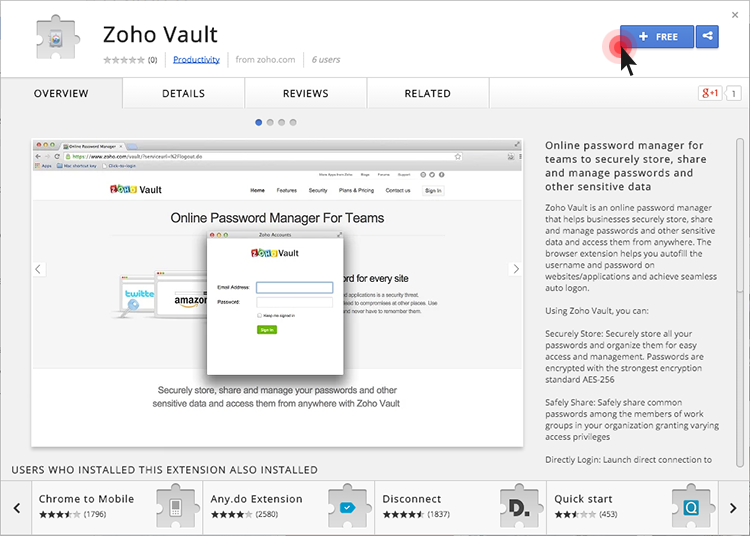 Zoho Vault is an online password management software that lets individuals and businesses securely store, share and manage passwords and other sensitive data and access them from anywhere. Individuals and organizations are drowning in a sea of passwords - both personal and business - because passwords are still the dominant form of user authentication. To stay afloat, users adopt shortcuts and poor password practices. They store passwords in spreadsheets, text files and other volatile sources. They share them insecurely, without protection. And they reuse passwords that are usually weak and easy to remember. 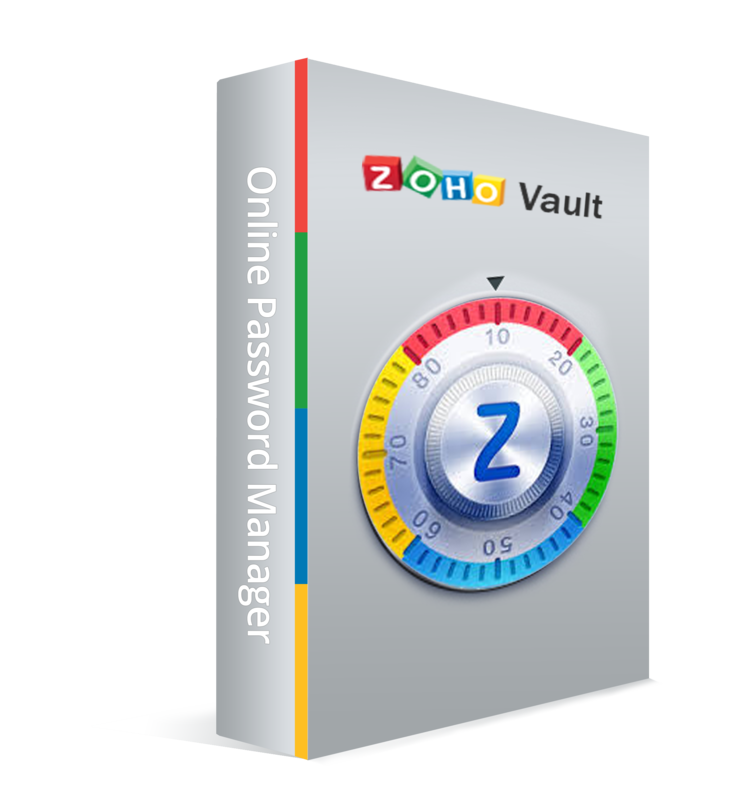 Zoho Vault solves these password problems with an online password manager that's easy to use yet highly secure. Important! The program is Cloud-based. You don`t need to install it on your PC. 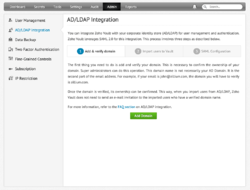 This is a 5-user multi-device 1-year license and allows Commercial use, provides free upgrades and support. The offer can't be used by existing users of Zoho Vault! The developer leaves up to 4 days for your account activation, but most likely it will be performed the same day. 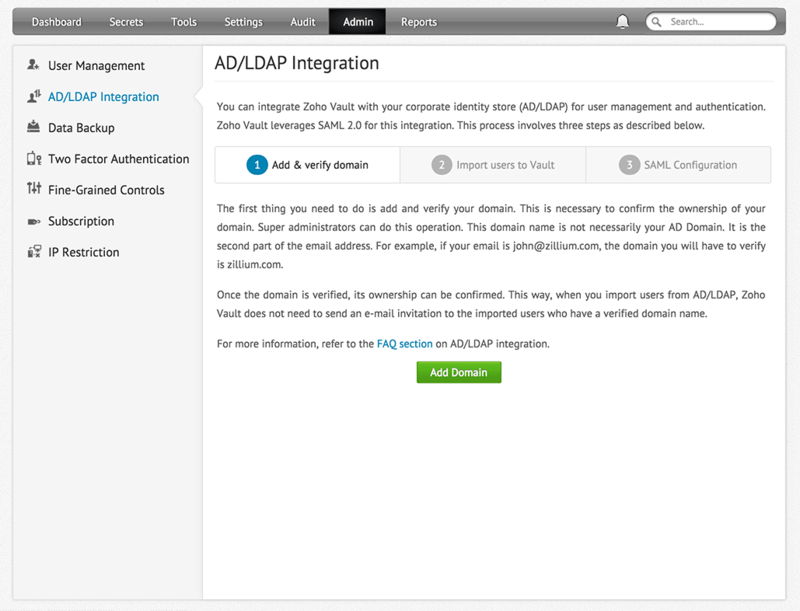 While you wait, you can continue to use Zoho Vault with full functionality. 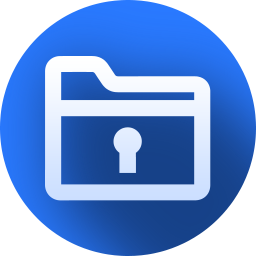 Please download our standard zip archive with the registration instruction! Windows XP/ Vista/ 7/ 8/ 8.1/ 10 (x32/x64), Mac OS X, Linux, Android, iOS, and any operating system that supports a modern web browser. How would you improve Zoho Vault Enterprise? This is great, if it's ok with you to entrust ALL your passwords in a 3rd party app. But I am happy with my KeePass, free and offline version. I have used Keypass for years now. It is easy to use and I can put it on as many computers as I want. It uses a master password to open the program and you can drag both your username and password from keypass to whatever program log in you getting into. A very good, safe and reliable program and best of all, it was always free although I don't know if that is still the case. Mark , Me too. I use KeePass on two Ubuntu desktops, a Point Linux laptop, and a Win 7 desktop and it's all cross-platform (I keep the same database on all four computers). That's KeepassX. There's some other versions that aren't workable on all platforms. There's also an Android version, but it stores PWs in a different file format and won't sync with the desktop X version. Since I can back up my copies onto thumb drives and external drives, I feel pretty secure about it. You couldn't pay me to store my passwords in the cloud and I surely wouldn't pay $420 to someone else to let me take that risk. 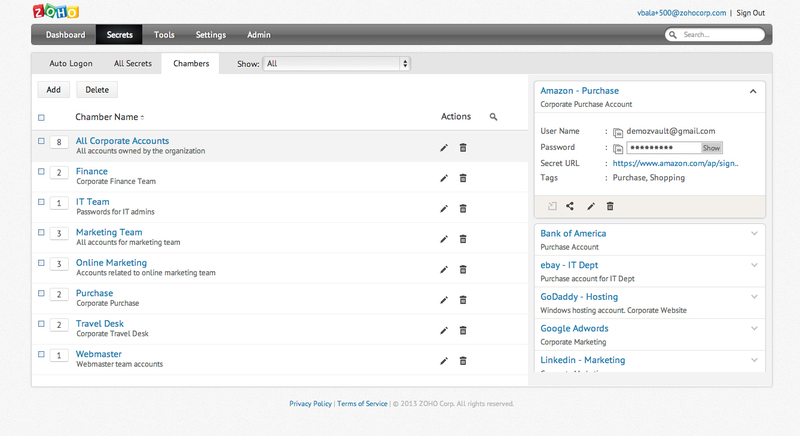 $420 for a password mgr? I think not. I have tried a few as is seems all sites now want a ton of letters & numbers even simple sites like NFL.com etc. My favorite of all time is Lastpass. And if you pay a very small fee ( I think it's $12.00 ) you can use it on ALL your devices like tablets , phones etc. Love it and very easy to use. Just wondering, for personal (non-enterprise) use, how is Zoho any better than Clipperz, which is free? Bearing in mind the nature of this site, people looking for free software, a 1 year free license for something that then costs $420 (sorry, how much??!!) to continue using to store your passwords is an amusing option. 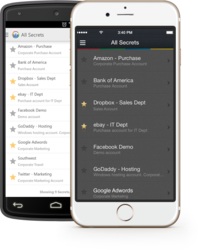 In fact, they offer a free option to store passwords, notes and docs there so you only need this giveaway of you're more than an individual user and you need AD integration and management. There's also lots of free/MUCH cheaper options than this giveaway. Bearing in mind the nature of this site, people looking for free software, a 1 year free license for something that then costs $420 (sorry, how much??!!) to continue using to store your passwords is an amusing option. The $420 comes from a min of 5 Users at $7 per month on their pricing page, so if you want to continue then it's $420 per year https://www.zoho.eu/vault/pricing.html In fact, they offer a free option to store passwords, notes and docs there so you only need this giveaway of you're more than an individual user and you need AD integration and management. There's also lots of free/MUCH cheaper options than this giveaway. I will never trust putting my passwords into a "cloud" controlled by someone other than myself. STAN, not exactly , only one password can be hacked at a time, now imagine all of your password hacked at once. sunny2, While you have a point, the password managers use one password for all and this is usually 16 characters long with mixed numbers, letters, and symbols. This password alone would take many centuries to crack vs days or minutes for your shorter passwords. The problem is you input it in a very insecure environment, Windows, no need to crack it just view it. This is a problem with any password manager in Windows, Windows itself. And very smart young man Edward Snowden recommends password managers, but I'm pretty down that sure he doesn't use Windows. skk, The problem is you input it in a very insecure environment, Windows, no need to crack it just view it. This is a problem with any password manager in Windows, Windows itself. And very smart young man Edward Snowden recommends password managers, but I'm pretty down that sure he doesn't use Windows. skk, Do not tell me it will take centuries to crack a password, a hacker will try to intercept the master key you send and receive from the online server before is encrypted and your password no longer needs to be cracked, the master key is in the hands of the hacker. STAN, not strictly true, modern sites no longer store the passwords anymore but instead store a hash of your password which is why you cannot recover your old password if you forget it, just reset it to a new password that then gets stored as a new hash value that is compared the hash of the password you enter when you authenticate. Only insecure services that are ripe for hacking that challenge you on tech support calls with one or two characters out of your chosen password actually store the original password in their databases, like ISP's for instance or some banks..